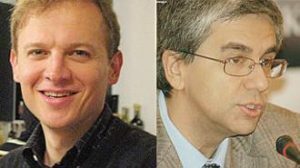 (Rome) In the name of the "open society", there are efforts to restrict open dialogue. What left-leaning groups and media demand, and what leftist governments and parliaments are trying to introduce, also applies to the current Church leadership. Riccardo Cascioli, the editor-in-chief of the Catholic Internet newspaper La Nuova Bussola Quotidiana, sounds the alarm and warns against a new Index Liborum. The new index no longer applies to forbidden books, but to "forbidden" websites. The "Church of Tenderness" does not like dissenting voices, according to Cascioli. The "hearing" of a "listening Church" is emphasized, but only applies to certain dispositions. A personality cult has been created around the "humble" pope. Those who do not pay homage to him will not be tolerated. "The Pope is putting 'uncomfortable' websites on the index". The reasoning? They would spread "too many fake news". In response to the Viganò dossier, an office for the "Certification of Catholic Media" has emerged. One could also speak of a new censorship authority. In general, the call for censorship currently seems to move according to the fantasies of the powerful in the Church and world circles. It is no coincidence that an affinity can be seen between the two groups. The demand for a censorship authority is contained in the final report of the Youth Synod, and it is well known that neither the synod attendees nor the adolescents wrote it. The text is from an editorial committee whose members were handpicked by Pope Francis. The demand comes directly from the papal court, to which it plays itself, in order to derive a staged call to action. A separate authority should "administer certification systems for Catholic websites". By that, they say, they want to fight "fake news" that affects the Church. "It seems to be the latest building block in a subliminal war against websites accused of criticizing Pope Francis and some of his collaborators who are particularly active in driving forward the change of religious instructors." Amoris laetitia as the trigger of an "Internet war"
Cascioli speaks of this "Internet war", which he attributes to the publication of the controversial post-synodal Amoris laetitia in April 2016. Some Episcopates interpreted the letter as a green light for the approval of remarried divorced people (and not just them) to Communion - with papal approval. Critics warned in advance that this would not only question the marriage sacrament, but the entirety of Catholic moral teaching. Four cardinals, Caffarra, Brandmüller, Burke and Meisner, addressed their doubts (Dubia) directly to Pope Francis. That was more than two years ago. When they received no answer, they handed over their Dubia to some Catholic Internet media in November 2016. These media, including Cascioli's Nuova Bussola Quotidiana and Vatican Sandro Magister's Settimo Cielo, had been selected because the official Catholic press was "on par and ready to support any doctrinal revolution." Other Catholic websites, including Katholisches.info for the German-speaking area, published in late September 2016 the Correctio filialis against the spread of heresies, which was signed by theologians, philosophers and priests. They urged Pope Francis to oppose the spread of heresies. The Vatican responded initially with an angry reaction by blocking access to the websites. A month later, Cardinal Robert Sarah, Prefect of the Roman Congregation for the Divine Worship and Sacraments, used independent Catholic media instead of the official Vatican media to publish a statement. With it he turned against daring interpretations for the translation of the liturgical texts into the vernaculars that had occurred after the publication of the Motu proprio Magnum Principium by Pope Francis. In November 2017, Francis took an unprecedented step. He demanded from Cardinal Sarah that the same media publish his opposition, with which he disagreed with Sarah's statements. "This demand made it clear how much the work of certain media, which can not be controlled by the church leadership, disturbs the great mastermind," says Cascioli. In March 2018, the Vatican even commissioned one of the world's most famous and expensive [aberrosexual] law firms to put an end to the Spanish, independent, Catholic website InfoVaticana. Francis: "For reasons of mental hygiene, I do not read them"
In the Vatican, however, one does not want to see the confusion and discomfort that reigns among the Catholic people, both among the faithful and among the faithful, because of "the distorted interpretation of the doctrine that seeks to impose a certain progressiveness." Instead, the question is being drawn into the political, according to Cascioli, who speaks of "nests of conservative resistance” against an alleged "springtime of the Church" that this pontificate produces. "For reasons of mental hygiene, I do not read the website of this so-called 'resistance'. I know who that is. I know the groups, but I do not read them. If there is something very serious, please let me know so that I know. " The suggestion was an invitation to priests and faithful to do the same, and not read critical voices. In fact, the Pope's statement made it clear how much the sting of these independent websites hurts in the flesh. It hurts so much that Francis "reserved" his own space in his recent Apostolic Exhortation Gaudete et Exultate. Punctually, last March Francis not only responded spontaneously but also with the same tones that have been heard from the ranks of the US establishment since the end of 2016. From the circles of the establishment that is opposed to Donald Trump in the US presidential campaign. These are the same notes that were struck a short time later in Western European state chancelleries, after the New York Times had given the go-ahead the day after the election. The Network Enforcement Act is a result of this. In November 2008, Barack Obama's election victory was celebrated as the "first victory" of the Internet, "the most ingenious invention of progress and democratization" because a "new grassroots movement" had been mobilized through social media, but since Donald's election victory Trump in November 2016, the Internet has been presented by the same circles as a dangerous threat. Also in this point Francis represents the position of the left establishment. The danger suddenly painted on the wall was an uncontrolled internet that could contribute to the actual or potential dissemination of fake news. The tagline "Fake News" was the deciding slogan issued by the New York Times the day after the US presidential election. Not a word is mentioned that classic media also spread fake news, but this entail far more serious consequences. The motive of Trump’s opponents and of Pope Francis is the same. Only controlled media are good media. The intra-Church conflict has now, through the McCarrick scandal, a whole new battlefield, which had already emerged earlier this year with the Barros case. The former nuncio to the US, Archbishop Carlo Maria Viganò, accused Pope Francis in connection with the sexual abuse scandal of serious wrong decisions and calls for his resignation. "The papal court - which, in addition to the official Church media, can count on the support of the leading secular media - which tries to reduce the whole issue to a problem of clericalism, while the objectionable websites give wide berth to the source of the problem of homosexuality which is tolerated, if not encouraged, by the Church leadership. " Here, too, Pope Francis' co-workers, secondaries and helpers follow worldly customs, where for some time now left-wing circles have targeted "self-proclaimed Pro-Life movements" and "self-proclaimed life-defenders" or, in the political sphere, the standard slurs refer to "self-proclaimed patriots" and "self-proclaimed homeland protectors.” The much-vaunted "inclusion" disappears in an instant when it comes to dissenting opinions. "This explains the urge for censorship, which certainly will not be without consequences." The small church of the Byzantine rite, unified with Rome, has met for its first synod in a century. It wants its own bishop and resources for priestly education. Bergamo (kath.net/jg) The Russian Greek Catholic Church accuses Pope Francis not to taking their concerns into account so as not to jeopardize the approach to the Russian Orthodox Church. This has been reported by the Wall Street Journal. The leadership of the church, which is unified with Rome, wishes for its own bishop and resources for priestly formation. Currently, the Russian Greek Catholic Church is headed by Joseph Werth SJ, the Latin diocesan bishop of Novosibirsk. "The survival of the Russian Greek Catholic Church is at stake," says Lawrence Cross, one of her priests, who lives in Melbourne, Australia. The head of the Russian Greek Catholic Church is meeting for the first synod for a century in Bergamo (Italy). With fewer than 30,000 members, the Russian Greek Catholic Church is one of the smallest churches in Rome. Most of them live outside Russia. There are communities in Western Europe, the USA, South America and Australia. (Rome) There is no end of the Calvary of Father Stefano Maria Manelli, the founder and until his dismissal, head of the Order of the Franciscans of Immaculata. Since July 2013, the young and, until then, flourishing, Order has been under the administration of a Commissar appointed by the Roman Congregation of Religious. Although four years have passed since, and the second Pontifical Commissioner has already overseen the prescription, there is still no official reason for the grave intervention in the Order. An alleged "Lefebvrianian deviation" was attributed to the Order. "What makes this all so comical today is that the Pope is ready to welcome the heirs of Marcel Lefebvre with a Personal Prelature into the Church," as the Vaticanist Marco Tosatti noted two days ago. Tosatti sees "from the outside," a "variety" of reasons leading to the provisional administration of the Order: first the attack against the founder by a group of "young Turks" who wanted to take over the Order, "one of the most flourishing with vocations." Today the vocations must be imported, contrary to the Vatican directives, which provides training on location, from Nigeria), but then also for property, "na roba", the "reason". What Tosatti does not mention, however, is to be guessed at: that the Order which had changed with Pope Francis, and with the Motu proprio Summorum Pontificum, had changed from the new to the traditional form of the Roman Rite, and yet (or precisely for this reason) attracted numerous vocations while the "modern", "cosmopolitan" orders dried up. Benedict XVI held his protective hand over this extraordinary case among Catholic religious orders. With the new pope, the defeat of the Order began, as it was evidently a thorn in the eye. The assumption of background touched upon by Tosatti in any case helps to understand the "angry slander campaign" which was unleashed against sisters of the Order because of alleged abuses. The starting point of the campaign in November 2015 was with Corriere della Sera, the flagship of the Italian "quality press". The alleged "scandal" led to investigations by the prosecutor's office, which concluded a year later and was unceremoniously archived. The media claims proved to be what one would call Fake News today. "However, they will probably have a sequel to some newspapers and websites with severe financial consequences, because they are civilly faced with high claims for damages by the victims," ​​Tosatti said. There are now fresh actions of the Roman Congregation of Religious. It is not so much about the Cardinal Prefect, the Brazilian João Braz de Aviz, but "about the secretary of the Congregation, the Franciscan José Rodriguez Carballo, who has a direct connection with the Pope," says Tosatti. Carballo is one of the first personnel decisions of this pontificate. Pope Francis proclaimed him on April 6, not four weeks after his election, as Secretary of the Congregation of Religious. Until then, the Spaniard was Minister General of the Franciscan Order. As such, he is directly involved in the financial scandal that exploded in December 2014 and brought the general leadership of the Order to the brink of bankruptcy. The Swiss public prosecutor's office had seized accounts of the Franciscan Order in October 2014 because of the suspicion of money laundering. The money, several tens of millions of euros, had been invested in ill-fated companies, which are being investigated for illegal arms and drug trafficking. Nothing is known of consequences of any kind against Carballo in the Vatican. This brings us to ",na roba", which is not insignificant in the Order of the Franciscans of Immaculata (canonically recognized in 1990, not to be confused with the Franciscans, founded 1210/1517). It has about 59 buildings, 17 properties, five photovoltaic plants and a series of banking accounts. The entire property, however, is not in the hands of the Order, since it has the vow of strict poverty, but in the hands of lay associations. The proceeds from the estate were given to the Order for its duties in pastoral care and mission. When the Order was placed under the Commission, the first Commissioner, Father Fidenzio Volpi, a Capuchin, who died in office in 2015, had the property confiscated. The court then decided completely differently. The entire assets were released again and reunited with the lay associations. As the Congregation of Religious could not get at the Order through the secular courts, it is now exerting pressure on the now 84-year-old founder of the Order, Father Manelli. Since the provisional administration, he has been under house arrest by the Vatican, "which in 2017 is in extremely bad taste," says Tosatti. Recently, Father Manelli officially and in the name of the Pope was asked to renew his allegiance of loyalty and obedience to the Pope. The demand appears to be doubtful, since officially no reproaches have been made by the founder of the Order. This, however, has deprived him of the possibility of defending himself for whatever reason. Father Manelli did not contend, but renewed the required oath. Two weeks ago, he received another letter from the Congregation of Religious. This time he was asked to make the entire property available to the Church, as mentioned above. "Naively, the founder of the Franciscans of the Immaculata responded," says Tosatti, that he can not provide anything because he has nothing. The above-mentioned assets are not subject to his authority, but to that of the lay associations. Father Manelli evidently did not see through the "trap" which had been made for him with the renewal of his loyalty first and then the money demand. Maybe he's just too honest, too old or too tired to dodge the trappers with prudentia. "Perhaps he would have done better to meet with the laity and to present the Vatican demand to them.The laity, who are not under obedience, would have made a decision. But he did not apply this ruse." The "weapon of obedience" and an "act of disobedience"
His response is now interpreted by the Vatican as an act of disobedience to the Pope. With the letter one wants to turn him with a rope. In other words, in the Congregation of Religious, it is now believed that they have the occasion to impose sanctions against the founder in the Church. And all without being told by the Vatican why the Order is under commissionerial administration, and why Father Manelli was deposed as General-General. In the Vatican, someone is obviously rubbing his hands. So far, the Congregation of Religious and Pope Francis have been wrong. In which state can sanctions be imposed without charges, without the possibility of defense and without a regular canonical procedure? Now, however, one must not talk about it any more, because one has the statement by Manelli, who answered truthfully, but not satisfactorily. Is this for an ecclesiastical condemnation? In the face of the bad experiences the Order has had to overcome for the last four years, no one in the Order would doubt it. The real concern, however, is "'na roba", the property. Manelli is particularly stifled, because he can not "relinquish" the possession of valuable property. Legally, he is unquestionably in the right, which is why the Vatican operates the moral lever. The exact disposition of the lay associations are not known, but they can be seen. For a long time the hope existed (and perhaps still exists) that the Order of the Franciscans of the Immaculate could be reestablished in the bosom of the Pontifical Commission Ecclesia Dei, then it would have the means to continue its work blessedly. Such a new foundation has been prevented by the Vatican for four years. Yet another reason is not insignificant: it can be argued that the benefactors who have given the estate to the Order have left it to the Order founded by Father Manelli. Not to any order or in general "of the Church," but in a very particular order with a very definite charism. However, after four years of commissionership, it is no longer the same order. "As a sidenote" it is also addressed, again to quote Marco Tosatti, "that it is more and more frequent that obedience is used as a weapon. Let us recall how Fra Matthew Festing, the Grand Master of the Order of Malta, was forced by the Pope to resign and sign a letter of doubtful content, by obedience. A bad habit, which is at the risk of becoming chronic ... "
Archbishop Ramon Cabrera Arguelles of Lipa was prematurely retired from his office yesteday, clearly because of his position on a non-approved "Marian Apparition"
(Manila) Pope Francis received the resignation yesterday of Archbishop Ramon Cabrera Argüelles of Lipa in the Philippines as it is revealed in the daily bulletin of the Vatican. At the same time, he appointed a successor, the Monsignor Gilbert Garcera, whom he transferred from the bishop's seat from Daet to Lipa. The retirement of Archbishop Argüelles took place prematurely. The Archbishop is only 72 years old. The reference to Canon 401.2 does not provide any information as to whether he has resigned due to health problems or because of serious misconduct. A corresponding clarification of the Code of Canon Law has been suggested several times in recent years. 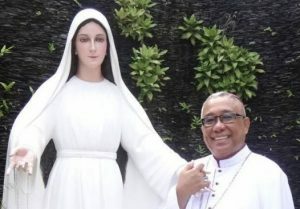 Archbishop Ramon Argüelles gained international fame in the past when, in 2015, he declared the authenticity of Lipa's alleged Marian credentials as "believable" and announced that he was convinced of the "supernatural" nature of the phenomenon. The Archbishop, with a Marienstatue, who was supposed to haveappeared in 1948 to the Carmelite, Teresita Castillo. Already in 2009, the Archbishop had abrogated the negative judgment of a commission of bishops. 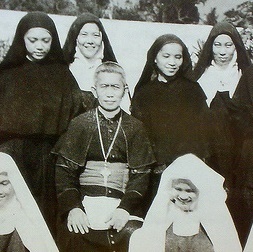 At the beginning of the 1950s several Philippine bishops had been charged with the study of the phenomenon. On 11 April 1951, the Commission concluded that the alleged phenomena were "not of a supernatural origin". A decision which had been approbated by Pope Pius XII. On August 18, 1948 in the Carmelite convent of Lipa the novice Teresita Castillo was supposed to have received an apparition of the Mother of God. According to Teresita, there were a total of 19 "apparitions" in which the monastic garden was showered with rose petals from the sky, each bearing sacred images. The images on the rose petals, which are kept in Lipa, were the Jesus Child, St. Joseph, the blessing Jesus, the Holy Family, the Holy Spirit, the Crucified, the Last Supper and other motifs were to be seen. In the last apparition, Mary had presented herself as the "Mediator of all Graces". The then Bishop of Lipa, Monsignor Alfredo Verzosa y Florentin, was convinced of the authenticity after having been shown a desired miracle. Rome, however, was skeptical and established a theological commission, which in 1949 made a negative judgment. The phenomenon of Lipa is only "feigned" by Teresita and was nevertheless "supported" by the prioress. Bishop Verzosa was deposed from Rome. The Apostolic Administrator, who was, among several other Filipino bishops under the commission established by Pius XII,, also came to a negative conclusion. However, the fact that there were conversions and healings in Lipa was interpreted by the Commission with the awakened expectations that people were open for God's work. Bishop Verzosa was prematurely made emeritus, while his auxiliary bishop, the prioress and the subprioress of the monastery were transferred. The statue of the "appeared" could no longer be shown publicly. The Carmelite convent was dissolved, but the monastery later resettled. The pilgrim's stream to Lipa did not abate despite the prohibitions but increased over the years. On the occasion of the 60th anniversary of the "apparitions," Gloria Macapagal-Arroyo, the then Philippine President of the Republic had also pilgrimaged to Lipa. The diocese of Lipa was raised to an archdiocese in 1972. Archbishop Mariano Gaviola, the predecessor of Monsignor Argüelles, reopened the public exhibition of the statue in 1992 and initiated new investigations into the phenomenon. This led Archbishop Argüelles to annul the negative verdict of 1951. In 2013 the beatification procedure for Bishop Verzosa was initiated. In 2015, Archbishop Argüelles declared the phenomenon to be "credible" and "supernatural". In the same year, however, the Roman Congregation for Congregation intervened and declared on 15 September 2015 the decision of the Archbishop "null and void". The decision of 1951 was definitive. The Archbishop was no longer empowered. The corresponding Roman document was handed over to the Archbishop on May 30, On 16 November 2016 the Carmelite and "Seer" Teresita Castillo died at the age of 89 years. Yesterday, Archbishop Ramon Cabrera Arguelles was made emeritus. 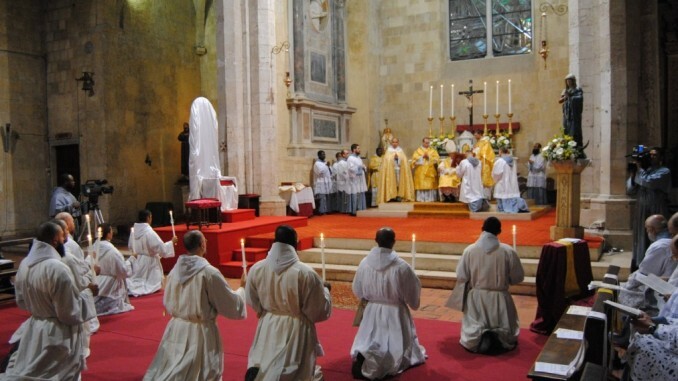 Archbishop Arguelles, who in the wake of the motu proprio Summorum Pontificum celebrated in the traditional form of the Roman Rite was still "negatively" apprized in another part in Rome. In July 2013, the traditional young order, Franciscan Friars of the Immaculate was placed under the provisional administration of the Congregation of Religious with the approval of Pope Francis. One reason for this compulsion has not been mentioned to this day. Because of the direct attack against the religious charism, tradition and the traditional Rite, members of the Order tried to find ways out of the constraint. What was contemplated, among other things, was the new foundation as an old ritual Order, which would no longer be subordinated to the Congregation of Religious, but the Pontifical Commission Ecclesia Dei . The Vatican, however, refused and forbade any to leave the Order. A total of six priests of the Order were also suspended in the Philippines because they tried to reestablish the Order. On June 28, 2014 in the Archdiocese of Lipa, the recognition of a public association of the faithful had taken place, as then Riposte Catholique reported. The recognition was thought of as a precursor to a new foundation test of maltreated Order of Franciscan Friars of the Immaculate . Accordingly, the Apostolic Commissioner, Fr. Fidenzio Volpi, reacted sharply, suspending the priests involved in the Order. When the matter became public, the commissioner made a public statement that spoke in a mocking tone of "ultra-traditionalist" circles, but only vaguely about the alleged "misconduct" of the priests which would justify their suspension. Archbishop Arguelles offered the five Philippine Franciscans of the Immaculate, who had been suspended, a celebret in his archdiocese. He was by no means popular in certain Roman circles. Shortly after the incident in the Philippines Commissioner Volpi threatened Italian bishops, if they should dare to establish Franciscan Friars of the Immaculate in their dioceses. At the same time, the Commissioner asserted in all seriousness that the Franciscans of the Immaculate wanted to "overthrow" Pope Francis. The premature end of his term of office is seen in the Philippines in the context of his attitude to the events of Lipa. A connection with the Franciscans of the Immaculate is not excluded. The Archbishop had not been popular in Rome. According to reports from Messa in Latino, Archbishop Arguelles learned from the Internet of his dismissal. There would be no question of a resignation which the pope had "accepted." In Daily Bulletin there is an official version that says nothing about the background. 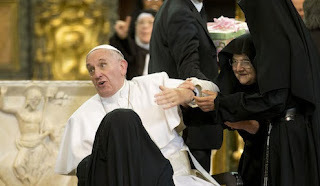 Archbishop Arguelles would thus feel the "merciful" arm of Pope Francis get as Bishop Rogelio Livieres of Ciudad del Este in Paraguay experienced it. Under a pretext, Msgr. Livieres had been lured to Rome, where Pope Francis let him stand in front of closed doors, while at home the locks of the bishop's residence were changed. In spite of the bishop's insistence, Francis refused to listen to the bishop who had been deposed. 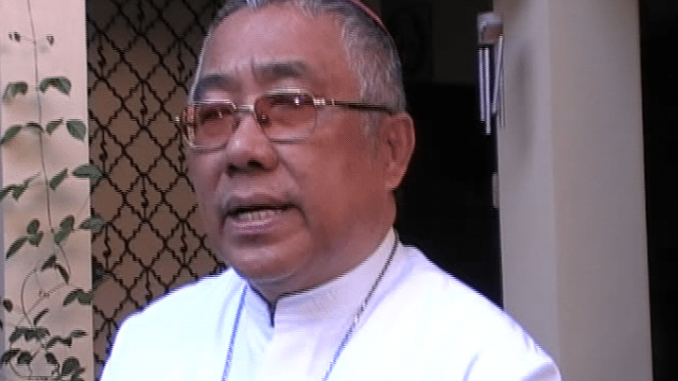 Bishop Livieres was neither given "dialogue" nor "mercy". The "guilt" of Bishop Livieres was that he was too traditional and had succeeded with his priestly seminary, which had almost three times as many seminarians as all the other dioceses of the country together. He had become the "trouble maker" in a bishop's conference riddled indifferentism and liberation theology. There is also a shadow over the retirement of Archbishop Argüelles. Under Henk Rijkers, the Dutch Katholiek Nieuwsblad has published articles in which the communion registration of newly married divorced persons is criticized. Herzogenbusch (kath.net/LSN/jg) Henk Rijkers (59), the chief editor of the Catholic weekly newspaper Katholiek Nieuwsblad (KN), will lose his job on 1 February. Between Rijkers and Huub Vromen, the chairman of the Foundation, which is part of the weekly newspaper, a conflict has been smoldering in the debate about "Amoris laetitia". Under the aegis of Rijkers, the KN has published several articles which contain criticism of approval of Communion for divorced laymen. Vromen saw this as too harsh a criticism of Pope Francis. He wanted to show "the good in other positions" in the KN more clearly. Vromen justified this, among other things, with the declining number of subscribers, for which he blamed the strictly Catholic line of the newspaper under Rijkers. Rijkers was compelled to negotiate the termination of his employment relationship in 2013. A dismissal was not possible under Dutch employment law, as Rijkers had always fulfilled his obligations under his employment. One day before Christmas it was agreed that Rijkers would leave KN on February 1st. He had lost his position because he had "defended the Catholic truth", said Rijkers to LifeSiteNews. Vromen strives to present the change of the chief editor as a natural development in the face of new challenges for the newspaper. KN will continue to teach, in the midst of the Church in the Netherlands and the World Church, writes Vromen on the 13th of January. But "the tone must become more positive, the focus less on teaching and more on pastoral subjects," he adds. "Polarization must be avoided," Vromen adds. The editors regretted the tone in which the newspaper had written about Pope Francis. This was "too one-sided". 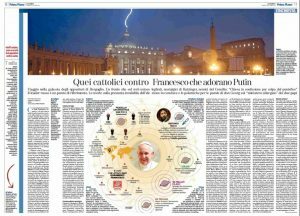 (Rome) In yesterday's Sunday edition of the Turin daily La Stampa that also operates the news site Vatican Insider, two Vaticanists, Giacomo Galeazzi and Andrea Tornielli, published a list of alleged "Francis opponents" in the Catholic Church with great ceremony. Just as meticulous as arbitrary, the formation resembles a proscription list for future purges. In coming to an end of the Holy Year of mercy a healthy portion of Misericordina will again be leveled against alleged enemies of Pope Francis. The learned political scientist Giacomo Galeazzi (born 1972) worked for six years for the newsroom TG1 of the public service broadcaster RAI 1 (departments abroad and religion). Since 2001 he is an editor of the daily newspaper La Stampa, for which he was described as Vaticanist in 2008. Galeazzi never made a secret of his progressive sympathies. The learned classical scholar, Andrea Tornielli (born in 1964), began his journalistic career with the publications for Communion and Liberation (CL) community. From 1992-1996 he was one of the editors of the monthly magazine 30Giorni (English Edition: 30days). This was followed for 15 years as Vatican expert at the rightwing daily newspaper Il Giornale . Since 2011 he is, next to Galeazzi, Vaticanist at the liberal daily La Stampa and coordinator of Vatican Insider . In 2005 or 2010 had observers would have said that Galeazzi and Tornielli represented very different positions. Since 2013 they have both been partisans of Pope Francis. 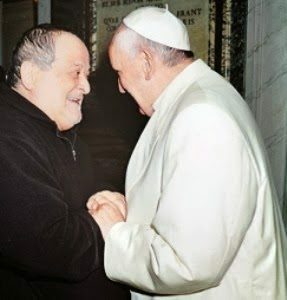 While the progressive Galeazzi personally keeps his distance from the "progressive" Pope, the conservative Tornielli was promoted under Francis even as the house vaticanist with direct access to the Pope. In January 2015 Galeazzi and Tornielli submitted their first joint book: "Pope Francis. This economy kills." Both jointly published yesterday, in the style of communist and neo-Marxist newspapers of the 70s, in two whole newspaper pages, a list of Catholic publications, organizations and initiatives, which are "dangerous to the unity of the Church and the Pope's health." The headline read: "The anti-Francis-Catholics who are attracted to Putin's power." "Their aversion to Francis keeps them together," say the authors in the first sentence. It is "especially shabby," remarked Messa in Latino, that the item appeared at the same time on the Internet site La Nuova Europa (New Europe), published by the Christian Russia Foundation (Christian Russia), a media initiative which was first established, to give the Christians persecuted by communists a voice in Russia. Ubi solitudinem faciunt, pacem appellant, wrote Tacitus. In this specific context, freely translated, you might say. You make a desert and call it peace. Messa in Latino speaks of a "grotesque and slanderous attack". There has been an assertion of an "assinational plot" made several times as criticism against conservative Catholics in the past three years. The prelude was made by the Austrian pastoral theologian and former dean of the Catholic Theological Faculty of the University of Vienna. In September 2013 Paul Zulehner was on camera as the inventor of a rumor . The pastoral theologian showed up in an ORF interview, impressed by the "reforming zeal" of the pope and also "worried" that Francis could be killed. Zulehner knew at once to name the potential offenders, namely "conservative Catholics," for whom the reforms would be "too much". He is still guilty of the malicious, politically motivated insinuation. The "unity of the Church" and the "health of the Pope" have been threatened by the "Anti-Francis-Catholics". These are called "Anti-Bergoglio-Catholics" and "Para-Sedevacantists" referring to the characteristics of which they are a part, who "worship" Russia's President Putin and sympathize with the "Islamic and anti-European", "populist" Lega Nord. The pattern of indictment that applies with respect to Italy by the two Vaticanists, can be transferred to other countries without much imagination. "The galaxy of dissidence against Bergoglio, ranging from Lefebvrians who have decided to wait for a traditional Pope 'to return to the union with Rome, to the Lega-Catholics put Francis in contrast to his predecessor Ratzinger and have launched a campaign: 'My Pope Benedict.'" The compilation is in reality a motley list of very different Catholic initiatives which, however, have two elements in common with each other: they are not progressive and have publicly dared to criticize certain actions of Pope Francis. The authors eagerly seek to throw all initiatives into the same pot, that they are more or less outside the Church. Who does not fit into your picture, must be put in the corner. They have designated the Society of St. Pius X., and this is followed by entities such as the Internet newspaper, La Nuova Bussola Quotidiana or estimable personalities like the editor Riccardo Cascioli, of the Lepanto Foundation and Corrispondenza Romana by the renowned historian Roberto de Mattei, the blog Settimo Cielo of veteran Vaticanist Sandro Magister, the Forum Libertá e Persona ( Freedom and Person).These are all initiatives who stay far away from any cheap polemics. The list continues with tradition related news sites like Messa in Latino , Chiesa e Concilio post and Riscossa Cristiana and the monthly magazine Il Timone . Galeazzi and Tornielli point fingers at Cardinals Raymond Burke and Carlo Caffarra, at Archbishop Luigi Negri and Bishop Athanasius Schneider, the liturgist Nicola Bux, Prof. Roberto de Mattei, Antonio Socci and many other more. The reason? They have all been guilty of defending the unchanging doctrine of the Church publicly and draw attention to pieces of evidence pointing in an opposite direction. The authors do not skimp on topics where those listed will be struck with clubs of political correctness before the audience: "Para-Sedevacantists", "Lefebvrian," "Islamophobic", "anti-European" and finally - they want to play it safe - even "Putin admirers". Already it is apparent in the title that the whole "galaxy" is assumed to be financed through murky channels issuing from Moscow. The page Messa in Latino took it with humor: "We need to improve our internal secret service, because we have not even been noticed yet by the cash flows from Moscow. We will give you the account numbers and accept the benevolent euros and rubles." At the same time they called upon Canon 212, paragraph 3 of the Code of Canon Law that holds explicitly that each Catholic has the right, where it is necessary, to criticize the ecclesiastical authority, and the Pope. Galeazzi and Tornielli see in the listed other hand, "revolutionaries", "coup plotters" and "Putin Cronies." One should notice: If a close papal confidant like Tornielli swings into such a sweeping attack, it means that there is a rough wind coming to Rome from Pope Francis. Renewed Papal "Hostility" Against Cardinal Sarah -- Who Can and Can Not? 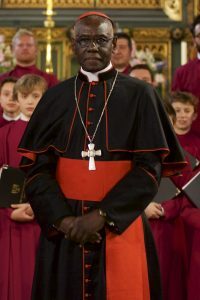 (Rome) Cardinal Robert Sarah, who has been Prefect of the Roman Congregation for Divine Worship and the Discipline of the Sacraments since the autumn of 2014, has developed over the past two years into one of the most prolific and courageous representatives of the universal Church. His traditional understanding of the Church and his public ministry has led to increasing rejection in papal circles. Within the last three months, the Cardinal of Guinea has been rebuffed for the second time. Cardinal Sarah says what he thinks and he knows what he is talking about. He has written, among other things, two books. The first book, "God or Nothing", was published in 2015 and became a Catholic bestseller worldwide. Since then it has been translated into thirteen languages ​​and topped numerous books on Pope Francis. Recently the Cadinal's new book, "La Force du silence" (The Power of Silence) was presented in Paris.Translations in other languages ​​are in preparation, and there is every indication that this book will be a sales success. The clear language, spoken by the Cardinal, is different from the ambiguous formulations currently preferred in Rome which leave much room for interpretation. The controversial post-synodal Letter Amoris Laetitia became a prime example of the new papal language. Although the Church leader has been asked publicly by various groups of theologians and philosophers to provide clarity to ambiguous formulations, or withdraw the document, the reigning pontiff has avoided since 2013 from a definition. Pope Francis hides behind references to third parties, without taking even their interpretations himself. He repeated several times, the authentic interpretation of Amoris Laetitia was what Cardinal Schoenborn explained at the presentation of the document in Rome on the 8th of April. What the Archbishop of Vienna said has not been exactly repeated by the Pope. Lately, a "pastoral document" of the bishops of the ecclesiastical province of Buenos Aires consider it as the "authentic" interpretation. There is "no need" to add anything, said Francis, but without saying what exactly is said in this document. Those in Rome speak cautiously of an "indirect interpretation". The braver ones say that it is "obvious" that Pope Francis wants to change previous doctrine, but he does not dare to say it. He therefore is handling things more "dietro le quinte" behind the scenes. The black African Sarah is made of different stuff. He speaks in clear language, because he considers it essential for a renewal of the Church. Last July 5 Cardinal Sarah spoke as a speaker at the 2016 Sacra Liturgia UK Conference in London, asking all priests worldwide to celebrate Mass ad orientem in 2016 from the First Sunday of Advent, and on the basis that Pope Francis (see Cardinal Sarah: call to priests , from First Sunday of Advent 2016 to celebrate ad orientem again ). "It is very important that we return as soon as possible to a common direction of prayer of the faithful and priests - to the east or at least the direction of Apse -. from whence the Lord will come again"
So he repeated a statement he had made in May in an interview with the French magazine Famille Chrétien. The Cardinal also contradicted the assertion spread in recent decades that the priests turn their "backs on" the people, he also celebrates facing ad orientem (to the east). It is "essential that the priest and the faithful face east together. 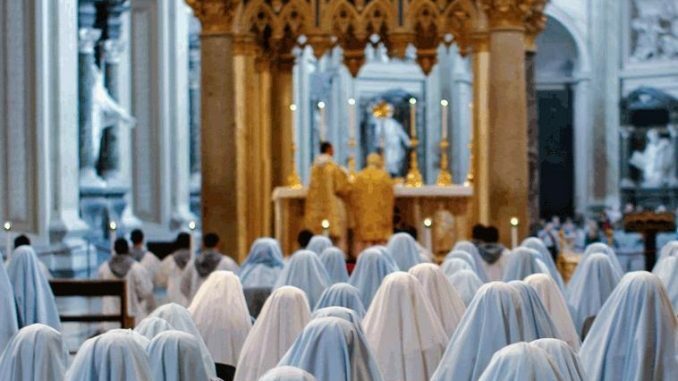 That is exactly what Council Fathers wanted "because" priests and faithful face together in the same direction, on the returning Lord, whom they expect." In the rubrics for the celebration of Mass it was specified exactly when the priest turns to the people (see Cardinal Sarah: "Priests, celebrate ad orientem" ). In some circles the brightest excitement prevailed and it was followed by the first affront to Cardinal Sarah. One could also speak of a shot across the bow. On the 11th of July an anonymous statement was published by the Press Office of the Vatican. One does not know which dicastery and which person was responsible. Yet it is certain that it has been endorsed by Santa Marta, otherwise they would not have been published by the Press Office. Vatican statement with "irritating nonsense"
With the statement someone hastened to clarify that "no new liturgical directives" are provided for the start of Advent, as someone "falsely" had concluded from the words of Cardinal Sarah. It should also be "better to avoid the expression, 'reform of the reform' regarding the liturgy, as it was sometimes a source of misunderstandings." 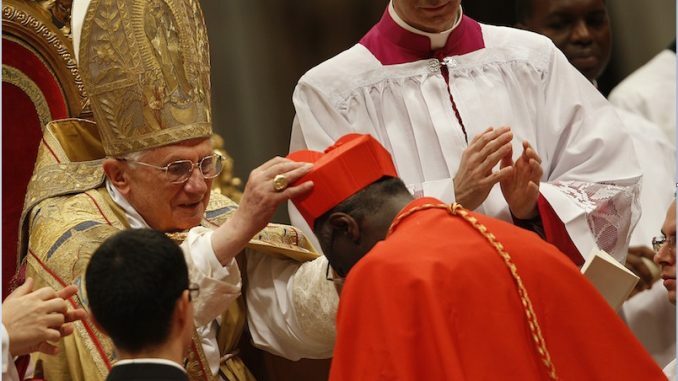 In short, Cardinal Sarah's statements were denied by mention of his name. Moreover, the Cardinal was virtually represented as a liar. In the anonymous the Vatican statement it said: "This all happened by mutual agreement within the course of a recent audience that the Cardinal Prefect of the Congregation for Divine Worship was granted by the Pope." (see also Direction of Celebration: Pope Francis stops foray by Cardinal Sarah ). The matter was quite differently explained from the point of view of the Cardinal addressed. Cardinal Sarah appealed specifically to Pope Francis. He presented to him his liturgical concerns, and the Pope had encouraged him. "It seems to me useful to remember what I have said on other occasions: Pope Francis asked me to continue the extraordinary liturgical work begun by Benedict XVI. (see. the message to the Sacra Liturgia-Meeting 2015 in New York, USA). It is not so that the views of his predecessor is ruled out, because we have a new Pope. On the contrary, the Holy Father Francis has an immense respect for the liturgical point of view and for the retired Pope Benedict XVI. in conscientious fidelity to the intentions and objectives of the Council Fathers' implemented decisions." This startled the papal entourage which also responded and denied what the cardinal from Guinea so fearlessly and steadfastly maintains. Cardinal Sarah has stuck resolutely to what has been said, because he is convinced of the profound importance of celebrating Mass facing liturgical east: "The Lord will come from the east", which is why priests and people in the sacred liturgy should turn together to the east, as the whole Church has done more than 1900 years ( Jesus will return from the east, but in the Vatican they have misplaced the compass - Cardinal Sarah reaffirms foray to celebrate Mass ad orientem ). The anonymous press release from the Vatican clearly explained concerns that haunt the papal entourage. It also "clarified" that the Missal of Paul VI. is the "ordinary form" of the Roman Rite, and as such should not be replaced by the "extraordinary form". It was also "clarified" that the altar must always be designed in such a way that the celebratio versus populum can be performed. A "false" statement, according to experts, because this quoted from Institutio Generalis Romani Missalis 2002 only applies to new churches. A celebration direction to the people moreover, was also as the leading liturgists agree, liturgical "nonsense," because the priest turns in the Eucharistic celebration with the people to God and not to the people. Every priest can and should celebrate eastwards, repeated Cardinal Sarah again. This requires neither a permit nor a change in the rules in force, because it corresponds to the applicable regulations. In his new book "La Force du silence," Cardinal Sarah reaffirms the need to celebrate "versus orientem": The reform of the post-conciliar liturgical reform will take place, because it is necessary, said the Cardinal Prefect. A week after the book came onto the market, a second affront to the Cardinal followed and again directly from the papal entourage. This coming October 27 the academic year for the Pontifical Institute of John Paul II for Studies on Marriage and Family opened its academic year. Cardinal Sarah is to have given the opening speech. 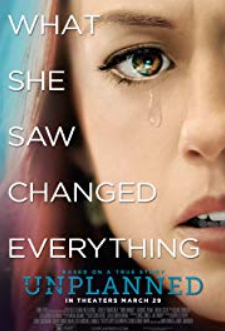 But now everything is different. The opening speech will now be held by Pope Francis personally. The change was disavowed not only by Cardinal Sarah, it also relates to the institution itself, which was founded by John Paul II., together with Cardinal Carlo Caffarra and also in connection with the Synod of Bishops on the Family, deciding how to hold firm on the sacrament of marriage and the traditional moral teaching of the Church. Too firm according to the papal entourage, because the Institute's attitude stands in the way of the "new mercy" to which Cardinal Kasper and Pope Francis showed the way. Although the staff of the Institute are the official, papal experts in marriage and family, they were neither consulted on the preparations nor the synod. Thus, the Institute has been clearly shown that his line is no longer desirable. "The result is, that Paglia has boasts to all and sundry of having received the assurance from the Pope that he will personally hold the opening speech for the new course 'of the Institute, dedicated to the contemporary and openness - instead of the outdated and closed Sarah."